FanFest vouchers go on sale Friday 10am. The Dodgers will hold their third annual offseason FanFest presented by State Farm on Saturday, January 31. The event will be held at Dodger Stadium from 10:00 a.m. until 4:00 p.m. and will feature appearances and autographs from Dodger players, coaches and legends. FanFest is free and open to the public. Parking gates A, C and E open at 9:30 a.m. and fans may enter the stadium through the left or right field plaza gates at 10:00 a.m.
A limited number of autograph session tickets will be available for sale online tomorrow at 10:00 a.m. PST for $20 via www.dodgers.com/fanfest. An autograph session ticket is required to obtain autographs at FanFest. All autograph session ticket proceeds will benefit the Los Angeles Dodgers Foundation (LADF). Donations will support LADF programs and provide assistance to community organizations in the area of education and literacy, health and wellness and sports and recreation. As part of Dodger season ticket holders’ year-long benefits, a presale of autograph session tickets will be held for fans that hold Dodger season seats from 9:00 a.m. to 10:00 a.m. PST also via www.dodgers.com/fanfest. 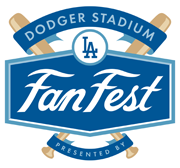 For the first time ever at FanFest, those in attendance will have the opportunity to upgrade their experience as VIP vouchers are available for purchase in advance via www.dodgers.com/fanfest. Fans can choose from a FanFest clubhouse tour, FanFest meet and greet, FanFest pressbox tour and access to the FanFest Interview Room for a Q&A and photo. In addition to autograph sessions with current and former Dodger players and coaches, FanFest will feature various family friendly activities, including interactive games and activities and all fans will be able to partake in a run the bases experience. FanFest’s main stage will feature interviews with current and former Dodgers. Fans can hang out in the @Dodgers social media lounge which will also feature a charging station and RBI Baseball on XBox. Photo opportunities inside the Dodger dugout and with the World Series trophy will also be part of FanFest. Dodger merchandise will be on sale and Levy Restaurants will provide various food and beverage offerings for purchase. Dodger partners Anheuser Busch, Chef Merito, Coke, Outerwall and Sports Authority will partake in FanFest with family-friendly activations and giveaways. LADF will host it’s first-ever Yard Sale with one-of-a-kind Dodger items for budgets of all sizes, including jerseys, T-shirts and more. LADF will also have a Mystery Bag Fundraiser where fans can purchase an official Major League baseball autographed by a current or former Dodger for a $40 donation while supplies last. Proceeds benefit the programs and charitable giving of LADF. Fans will be able to buy Opening Day mini plans and individual game tickets, excluding Opening Day, at FanFest. Also, the Dodgers’ annual On Sale will be held exclusively online on Friday, January 30, beginning at 10:00 a.m. at www.dodgers.com. At that time, fans can purchase individual tickets to all 2015 season games and a very limited number of Opening Day tickets. The best way to guarantee Opening Day tickets is to purchase a mini plan. More information on Dodger mini plans can be found by visiting www.dodgers.com/miniplans. 10:10 a.m. – 11:00 a.m.
11:10 a.m. – 12:00 p.m.
1:10 p.m. – 2:00 p.m.
2:10 p.m. – 3:00 p.m.
3:10 p.m. – 4:00 p.m.
Line 1: Chris Reed and Jerry Hairston, Jr. Complete FanFest autograph session policies and procedures can be found by visiting www.dodgers.com/fanfest. Hi! I was just curious how long it takes to get through a line...I have a ticket for two different lines in the first session and wondered if I will have time to get both. And do you happen to know how early I am allowed to get there? Thanks for any help! Well you have up to the first 30 minutes of a signing to get into the line. After the first 30 minutes of a signing security won't accept your voucher. This means you got to be one of the first people in the line if you want to go back around. The line does move fairly quickly, but there's going to be a lot of people in line. Last year some players were done like 10-15 minutes early, while others took their entire time. If it was me I would hit up the less popular line first as you are likely to get out of there faster. I had a question about parking!! Where are you able to park ?